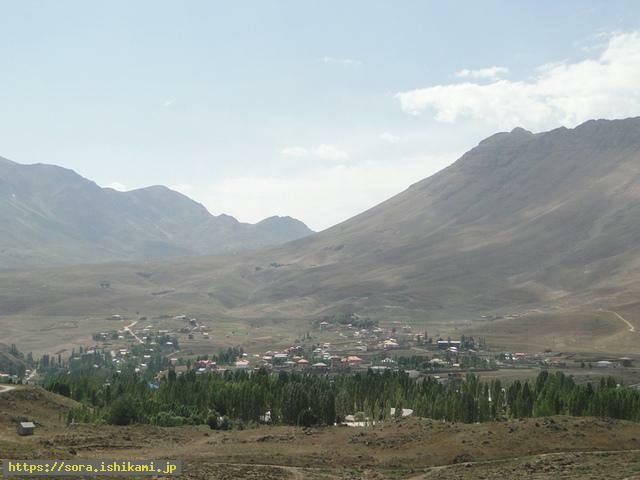 The scene shows the village at the foot of Mount Damavand and they say there is a hot spring there, too. 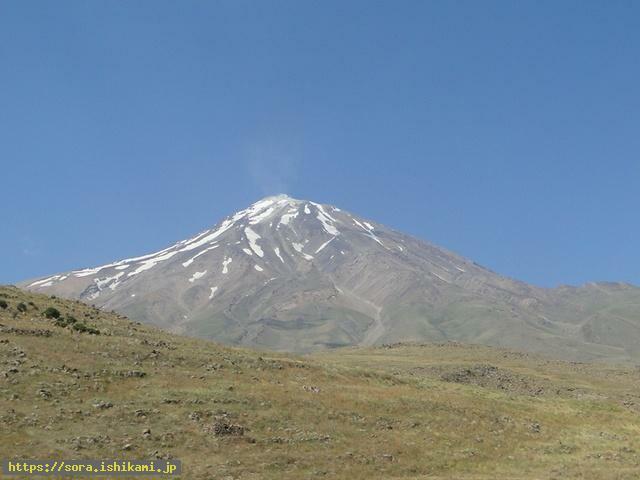 Mount Damavand is the volcano but it is the dormant volcano with active fumarole. It is in the middle part of Alburz Mountains and tts peak is 5,610 m above sea level. It is the highest peak even in all Middle East. It situates in the southern shore of Caspian Sea, 66km northeast of Teheran. The main city which is the nearest to this mountain is Rineh and it is in the south side of the mountain. Mount Damavand has the folklores ande myths in Iran and it is regarded the extraordinary place. In addition, it is the mountain which was climbed by shepherds more than a thousand years ago. Though Persepolis is far away from this mountain, the words which come out from my mouth tells it is related to this mountain.